But will we see a Vaio netbook soon? Sony are still analysing the 'netbook' market before deciding if it will bring out a competitor, according to the company's laptop product manager for the UK. Speaking to TechRadar, Robbie Duncan insisted that Sony was not resting on its laurels as the likes of Asus' Eee and MSI's Wind shaves a corner off the laptop market. "We're still analysing the netbook market," said Duncan as Sony showed off its new series of Vaio laptops. "Obviously it's an evolving market which has shown big growth, and it has got a creeping market share." "[Laptops] is certainly an interesting market at the moment." 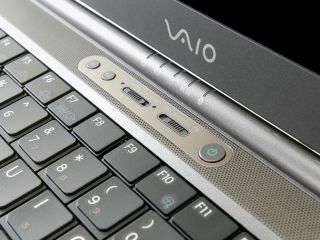 In the meantime, Sony is confident that its entry level Vaio laptops will lure people onto full-size keyboards.